It is with tears of sadness, joy, and celebration that we announce the passing of Richard Keeler. Last evening, January 16, 2019, our beloved brother and friend transitioned from Urantia. His health had been on the decline for two years, and his passing was a blessing that he looked forward to. He met the challenge of his final journey with courage and faith in his heavenly Father, and he slipped away peacefully in his sleep. 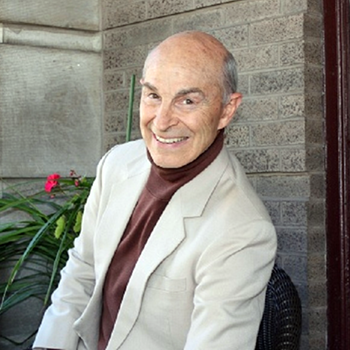 Richard Keeler served as a trustee of Urantia Foundation for 30 years. He was steadfast in his love of the revelation, and his service to the Foundation and the readership. He brought wisdom, humor, and fraternity to us all. Richard’s loving service, unselfish devotion, and courageous loyalty were a testament to his dedication to living the fruits of the spirit. We deeply thank Mike Wood and Evette Twyford who served as Richard's caretakers for the last 17 months. They were excellent nurses and loving companions. They both showed us what love looks like in action. We owe them an enormous debt of gratitude! We all miss him and bid him Godspeed as his guardian angel takes him to the mansion worlds. Richard, we salute the fragment of infinity, the spark of divinity, and the ember of eternity within you.